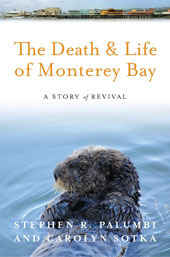 The Director of Hopkins Marine Station has a new book out, “Death and Life of Monterey Bay: A Story of Revival”. Co-authored by Carolyn Sotka and published by Island Press, it describes the ecological history of Monterey Bay. Going back to the eighteenth century when the bay was a natural paradise, the book chronicles how it became the poster child for industrial devastation as described in John Steinbeck’s Cannery Row. The book goes on to tell the story of the residents who reclaimed it and how Monterey Bay became one of the most celebrated shorelines in the world. Copyright © 2010 IAMSLIC News & Events. Powered by WordPress and A Dream to Host theme by Art of Blog.